I can’t tell you anything amazing about Mesquite, NV. 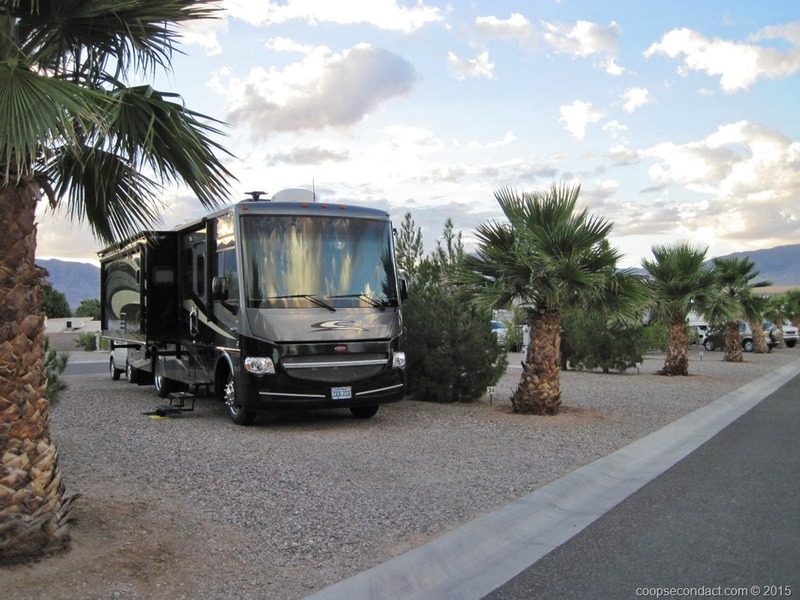 This was strictly a stopover for us where we spent one night at Sun Resorts RV Park. Lake Tahoe (pics) is a special place, perhaps not one of a kind but it’s on a short list. First, there’s the deep lake with a surface elevation of 6,225 feet and 72 miles of shoreline. In the summer this provides for all manner of water sports. 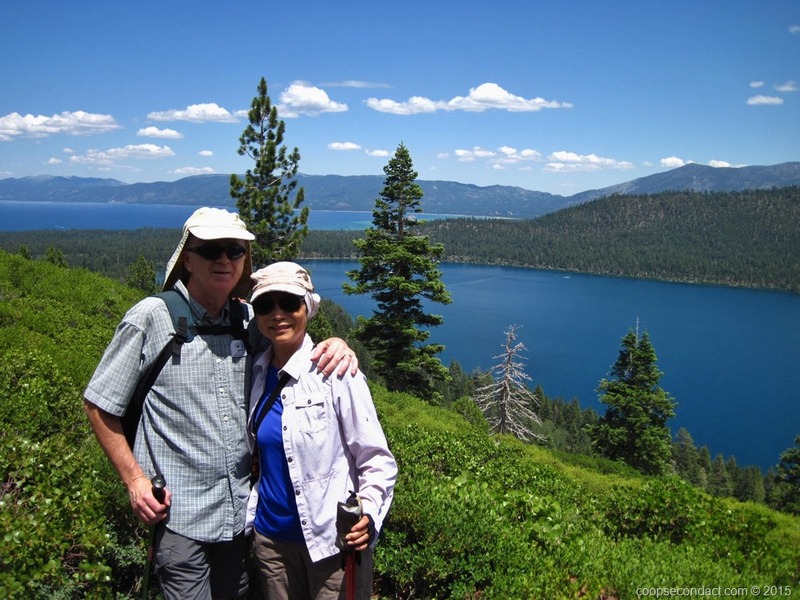 In addition, the lake is surrounded by dramatic Sierra Nevada mountain ranges that not only provide dramatic and breathtaking vistas but almost unlimited hiking, biking, backpacking and camping opportunities. Then in the winter, these mountains usually get a generous amount of snowfall which provides world class skiing opportunities at numerous ski resorts in the mountains that ring the lake. Skiing (downhill and cross country), snowboarding, snowmobiling and other winter alpine activities draw visitors from around the world. 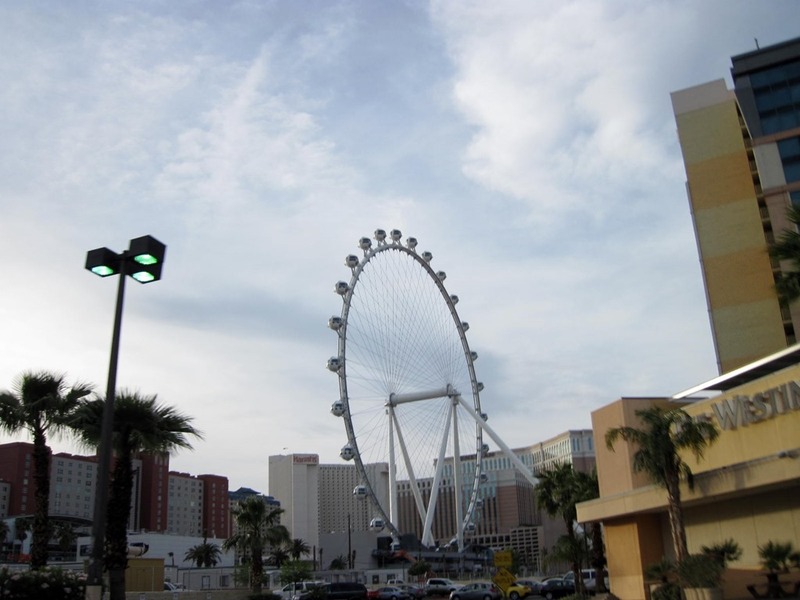 If the outdoors get to be too much, you can find a great restaurant, do some shopping or, since a portion of the lakeshore is in Nevada, visit one of the casinos. Once again we feel privileged and lucky to have had the opportunity to spend two weeks here. Mostly due to the hospitality and generosity of our friends we were able to come here in July and to hike, bike, go the beach, spend time with friends and be awed by the natural beauty of this place. It’s really difficult to choose the best time of year to be in Tahoe, winter or summer. They’re both special. 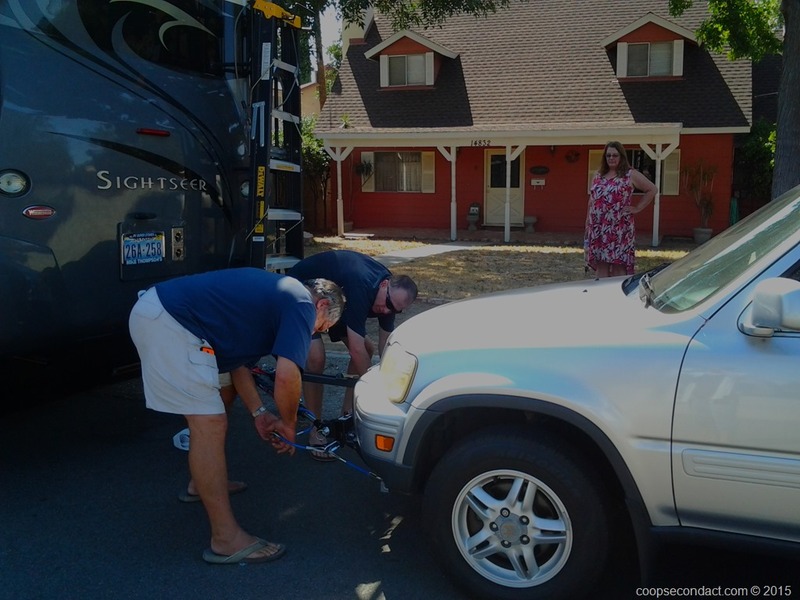 On June 29, 2015, we took our motorhome out of storage, hooked up the car and headed out to begin our first extended motorhome trip. 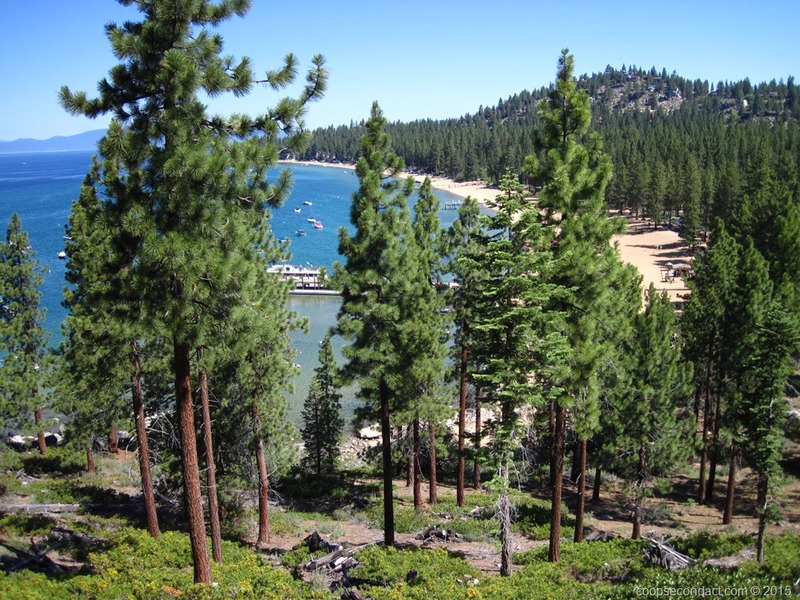 Our big picture plan is to be gone until mid-October, with our first milestone destination of Lake Tahoe.